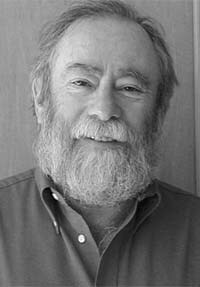 Marvin Bell (1937 – ) is an American poet who famously wrote a series of poems called “The Dead Man” and “The Dead Man Speaks.” He also taught for many years at the Iowa Writers Workshop. Bell was born in New York City. He earned his bachelor’s degree from Alfred University, master’s degree from the University of Chicago, and and MFA from the University of Iowa. He has written 16 books of poetry. Do you have any comments, criticism, paraphrasis or analysis of this poem that you feel would assist other visitors in understanding the meaning or the theme of this poem by Marvin Bell better? If accepted, your analysis will be added to this page of American Poems. Together we can build a wealth of information, but it will take some discipline and determination.